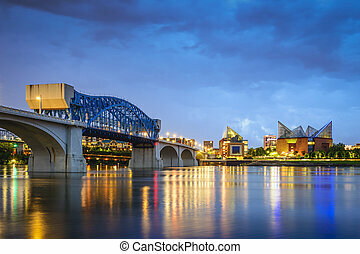 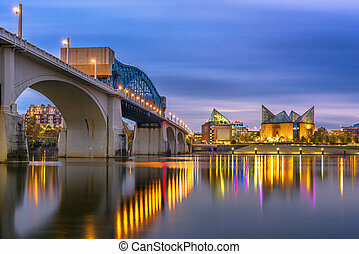 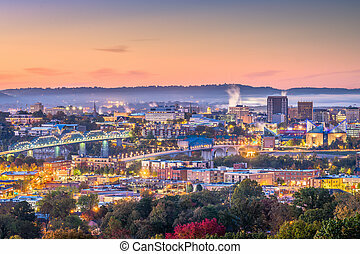 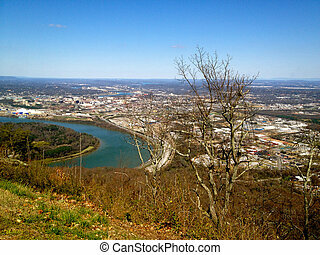 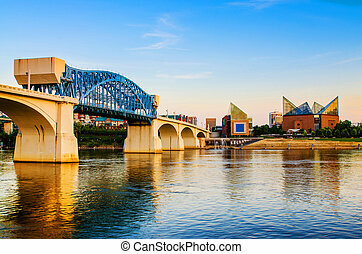 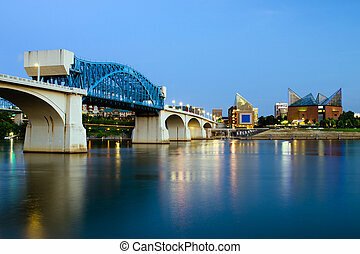 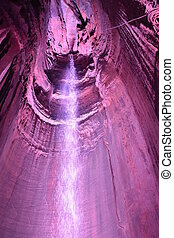 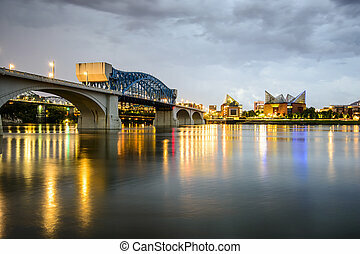 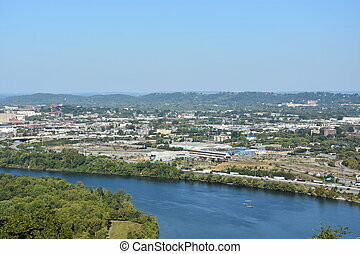 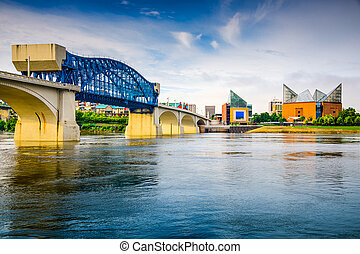 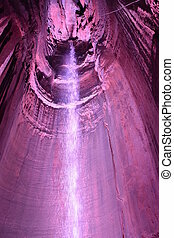 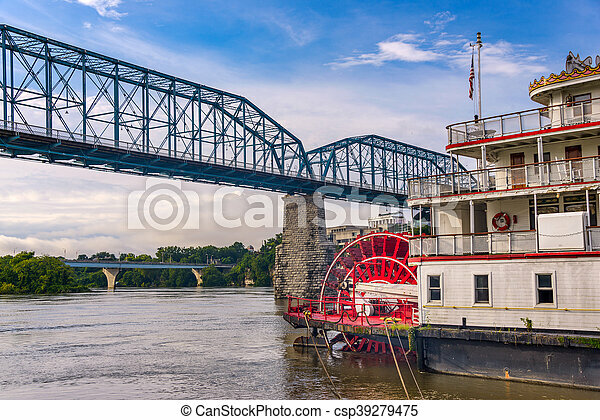 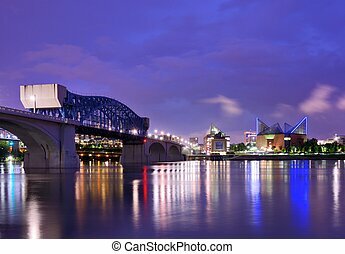 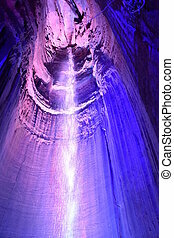 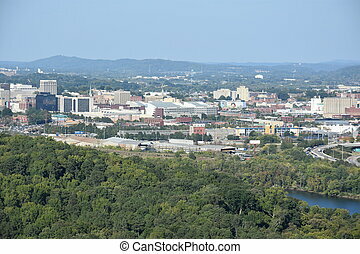 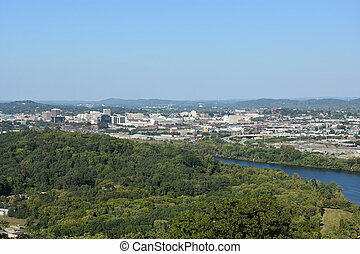 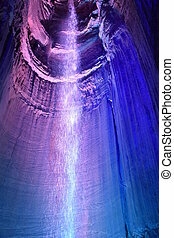 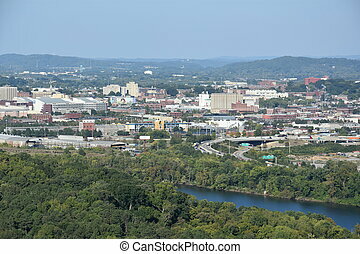 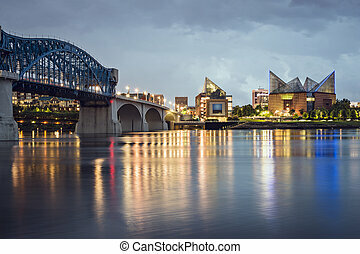 Chattanooga, Tennessee, USA downtown city skyline at dusk. 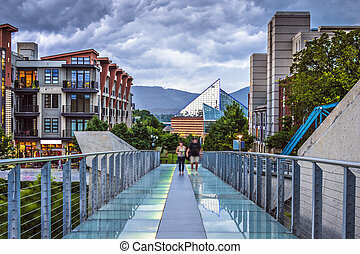 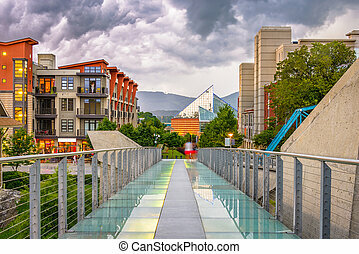 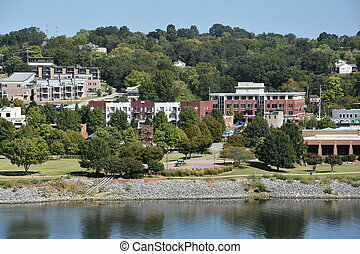 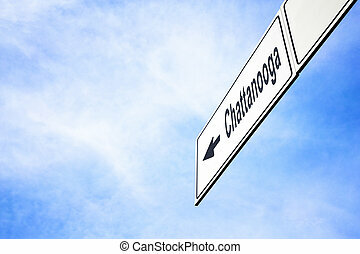 Chattanooga, Tennessee, USA downtown walking path and cityscape at twilight. 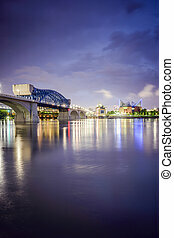 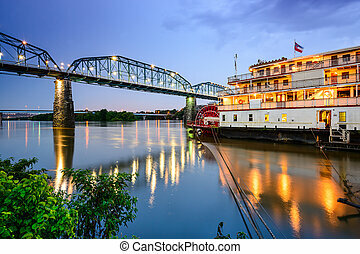 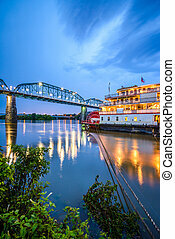 Chattanooga, Tennessee, USA downtown skyline on the Tennessee River at dusk.